At Weddings By Dzign, we love a couple who isn’t afraid to think outside of the traditional wedding design box—and Sherrie and Cody were absolutely fearless when it came to working with stark hues and modern design elements to create a stunning black and white wedding. The couple chose to marry at The JW Marriott Las Vegas in March of 2017, and we were absolutely thrilled they trusted the Weddings By Dzign team to execute coordination, floral, decor and entertainment for their stunning, sleek and modern soirée. 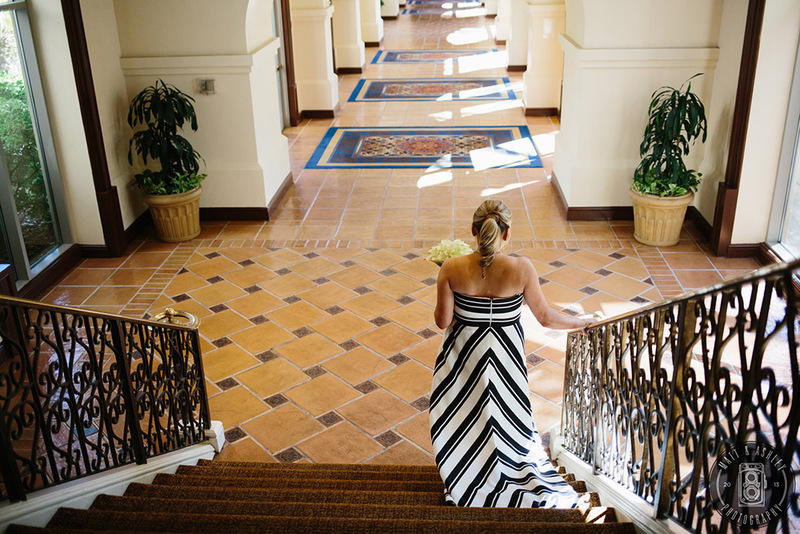 We were head over heels for Sherrie’s super chic black and white wedding dress—the clean lines and simple silhouette made for a striking gown, so we wanted to work with understated forals that didn’t overpower her dress but, instead, complemented it. 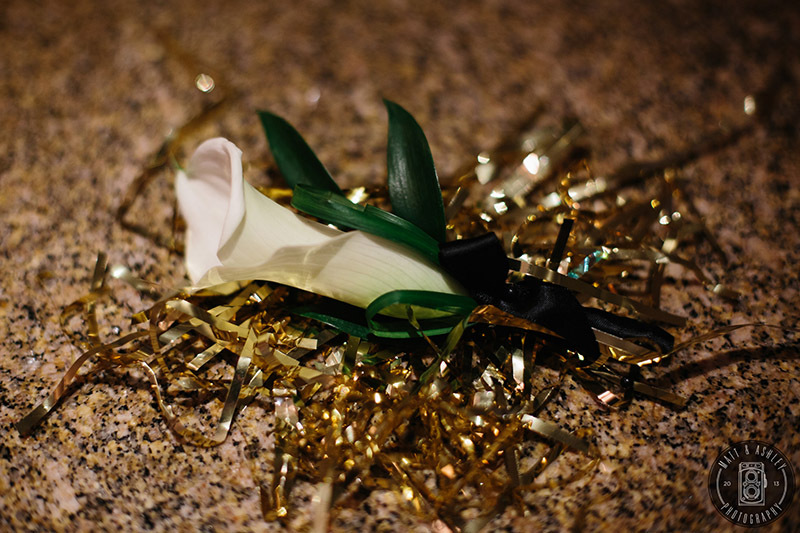 For the bride, then, Floral By Dzign crafted a tight, focused arrangement of all white calla lilies, and, for Cody, our floral team used a simple, single white calla lily to ensure his boutonniere played perfectly with his bride’s bouquet. The ceremony took place outdoors at the JW Marriott’s Garden Gazebo, and Floral By Dzign flanked the space with two altar arrangements that consisted of modern black urns filled with white and green florals, sitting pretty atop white pedestals. The altar arrangements really worked to add some height and depth to the altar space, without overpowering the natural beauty of the venue itself. 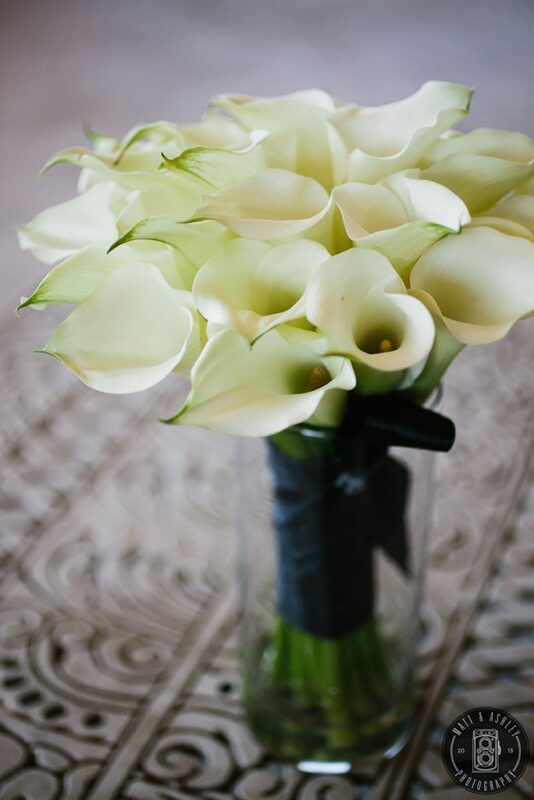 Plus, the combination of stark black vases against soft white and green florals felt super modern, and worked really well with the striking lines on Sherrie’s black and white wedding gown. 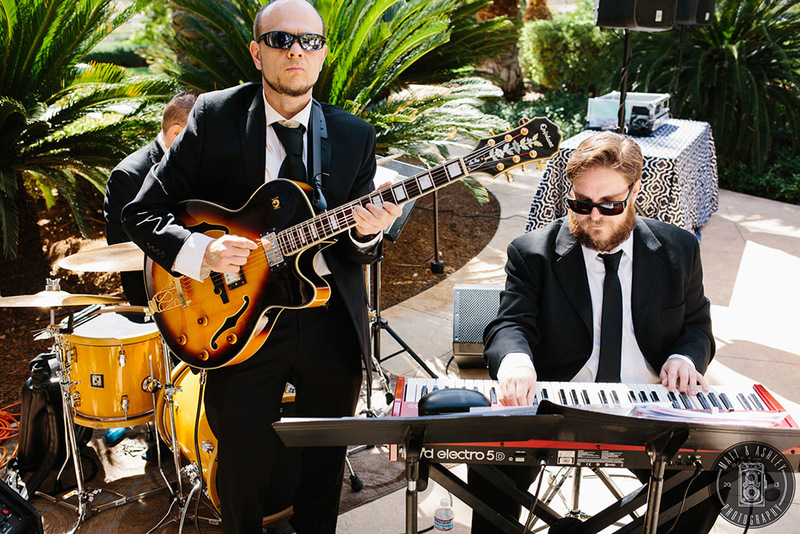 Our entertainment team was thrilled to book a talented guitarist for the couple, who played throughout the entire ceremony and really helped to set a romantic, springtime-in-Las Vegas mood. After the couple said I Do, guests moved to the Lodge at the Lawn, an indoor/outdoor space which features both a European-style lodge and an a private, lush lawn area. 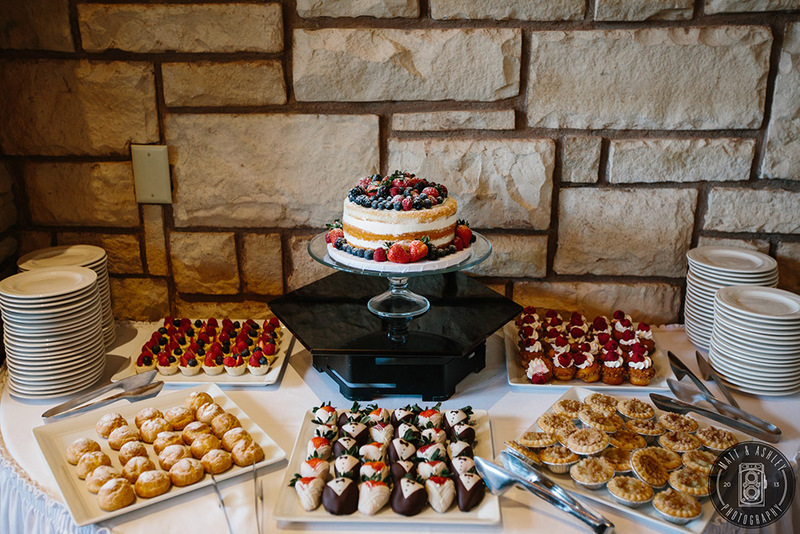 Sherrie and Cody wanted a reception that felt more laid back than most—so the couple opted to forego a traditional cocktail hour and reception format and, instead, chose a mixed-purpose area with no assigned seating. To create that laid-back feel they wanted, Furniture By Dzign brought in a mixture of both high and low cocktail tables, along with banquet rounds. We then staggered the tables strategically throughout the indoor and outdoor space to encourage a natural flow and easy movement throughout the reception. 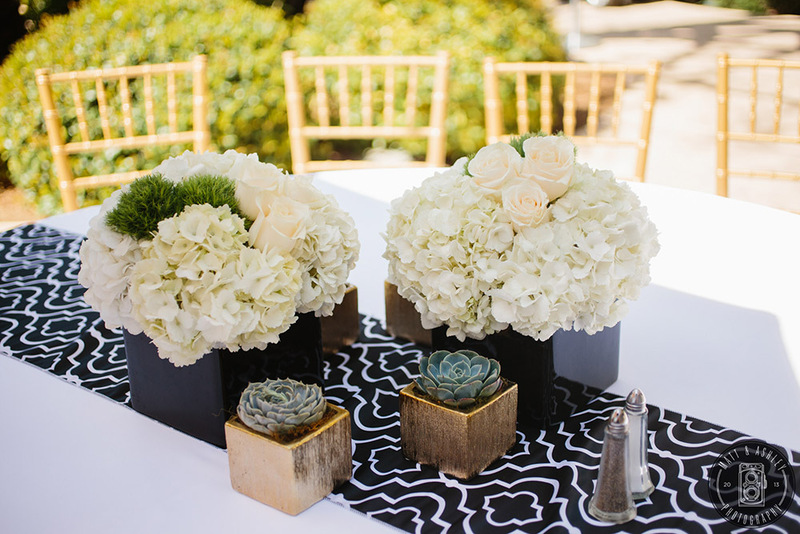 Both the high and low cocktail tables boasted black and white geometric-patterned linens—while the Linen By Dzign team dressed the banquet rounds in a simple white linen with a coordinating black and white table runner. The stark colors and sleek geometric pattern managed to make for an aesthetic that felt both modern and playful at once. Low cocktail tables and banquet rounds were framed with gold chiavari chairs topped with simple white cushions. 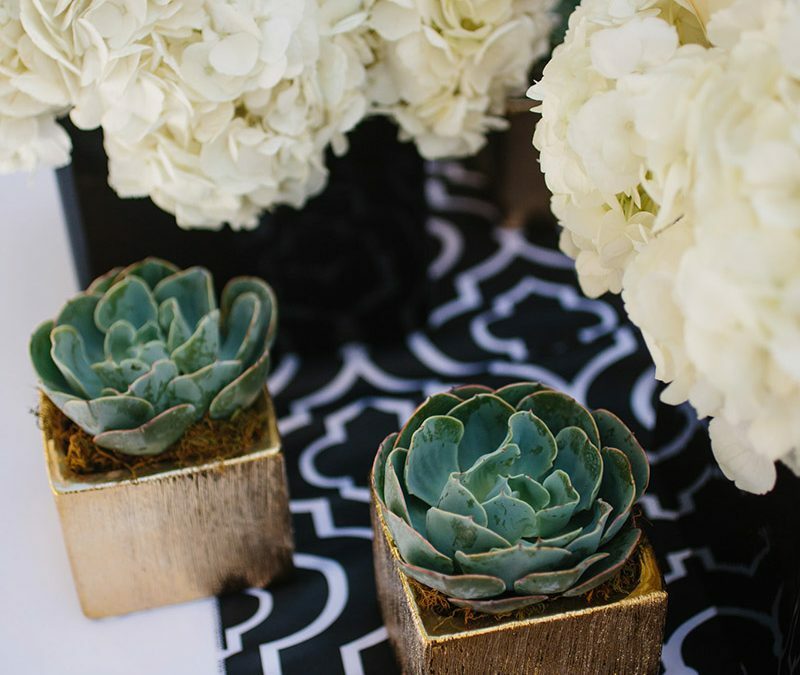 Floral By Dzign then topped the banquet tables with black, square vases filled with white hydrangea, white roses and green kermit, along with smaller gold-etched vases filled with succulents in muted green hues. The cocktail tables boasted super chic iron terrariums filled with succulents. 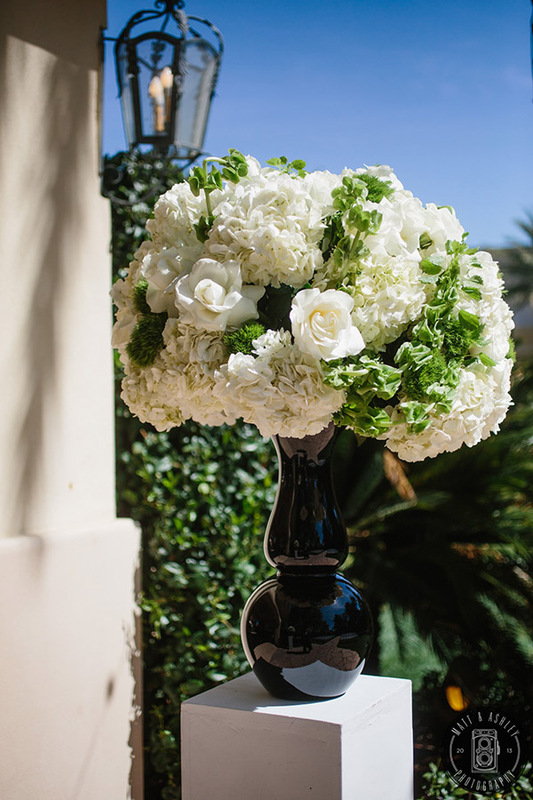 We then flanked the bar area with two arrangements on either side, which consisted of sleek black vases filled with white and green florals. To top it all off, guests danced the night away under romantic bistro lights, to the sounds of a celebratory jazz trio and, later in the night, a talented DJ. 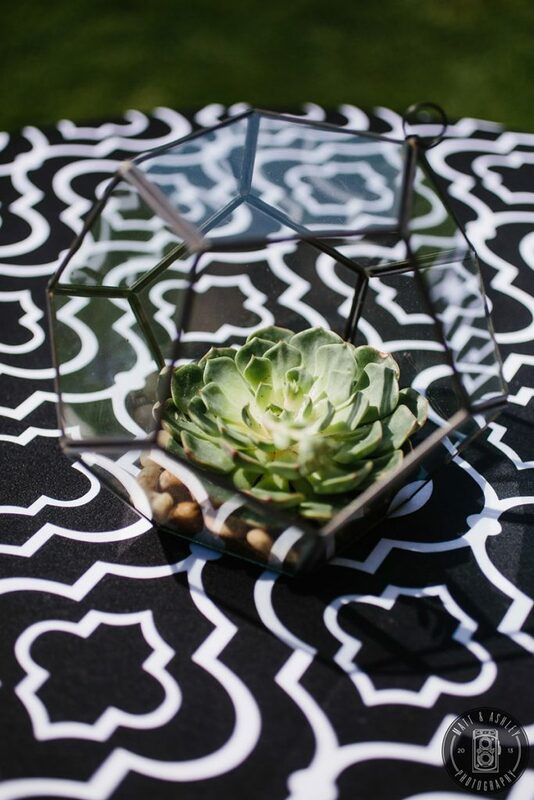 Overall, between the sharp geometric patterns, modern succulents and striking color palette, the event aesthetic felt like something you’d see in a West Elm catalog—and the couple couldn’t have been happier with how it all turned out. 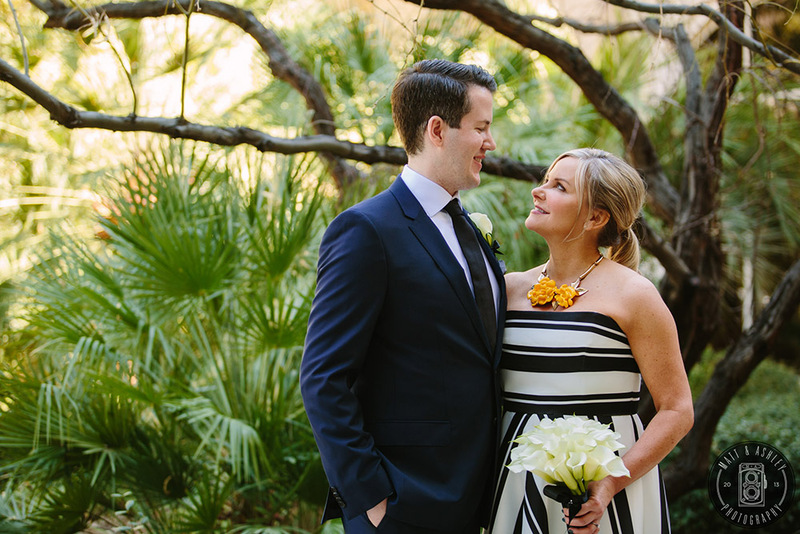 We were honored to play such a big part in this sweet couple’s Big Day, and we’re still swooning over the stunning images from what turned out to be a beautiful springtime soirée.